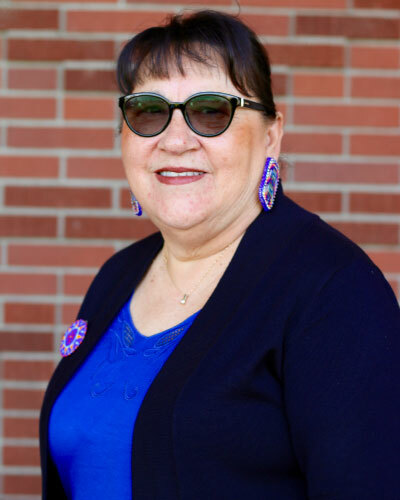 Maxine Janis, an Associate Professor at Heritage University is an enrolled member of the Lakota (Sioux) Tribe. Dr. Janis’s research interests include addressing social, education, and health inequities among indigenous populations, and mentoring indigenous students interested in the health professions pathway. As a public health practitioner, Dr. Janis draws on her observations of lived experiences of indigenous people applying the traditional knowledge of Native health and healing practices to advocacy and advancement strategies impacting health care standards, policies, and practices. Dr. Janis is intent on effecting a positive transformation of attitudes and beliefs, to counteract the minimization of indigenous voices in our health care delivery system toward that end of transforming health care delivery systems, agencies, and professionals to enable them to work effectively in cross-cultural situations. Dr. Janis’s continues her work in promoting health by working with tribal communities, lay health persons, and leaders, as well as state and federal legislatures to advocate for policies on behalf of the underserved in our society. Her research agenda strives toward making the greatest contribution through addressing disparities, utilizing her life experience and creativity in the capacity of a visionary speaker for basic human rights. Other community involvement includes: a Community-based Participatory Research project with the Northwest Portland Area Indian Health Board Research team working on the Toddler Obesity Tooth Decay Study (TOTS) with tribes in Washington, Idaho, and Oregon and serving on the Institutional Review Board (e.g. human subject’s protections) for the Portland Area Indian Health Board. Her international work includes social justice work with indigenous populations in Australia, Guatemala, Tibet and India. These endeavors clearly demonstrate Dr. Janis’s commitment to research relevant to addressing health disparities in indigenous populations. Additionally, these experiences have provided her with an understanding of the need for culturally sensitive health interventions to address and ameliorate disparities in health experienced indigenous peoples.